The pharmaceutical sector is a high-technology and knowledge-intensive industry. The industry has a two-tier structure. The largest firms account for the majority of the R&D investment in the industry and hold the majority of patents. There is a large number of smaller firms producing mostly for local markets. The pharmaceutical industry is heavily regulated. In this assignment we have selected a farm from this pharmaceutical sector and we will try to find out how the farm is using strategic management in its operations. 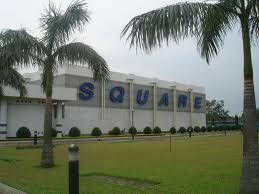 SQUARE today symbolizes a name – a state of mind. But its journey to the growth and prosperity has been no bed of roses. From the inception in 1958, it has today burgeoned into one of the top line conglomerates in Bangladesh. Square Pharmaceuticals Ltd., the flagship company, is holding the strong leadership position in the pharmaceutical industry of Bangladesh since 1985 and is now on its way to becoming a high performance global player.SQUARE Pharmaceuticals Limited is the largest pharmaceutical company in Bangladesh and it has been continuously in the 1st position among all national and multinational companies since 1985. It was established in 1958 and converted into a public limited company in 1991. The sales turnover of SPL was more than Taka 5 Billion (US$ 90 million) with about 15% market share (April 2003 – March 2004) having a growth rate of about 16%. SQUARE Pharmaceuticals Limited has extended her range of services towards the highway of global market. She pioneered exports of medicines from Bangladesh in 1987 and has been exporting antibiotics and other pharmaceutical products. This extension in business and services has manifested the credibility of Square Pharmaceuticals Limited. We in SQUARE strive, above all, for top quality health care products at the least cost reaching the lowest rungs of the economic class of people in the country. We value our social obligations. We owe to our shareholders and strive for protection of their capital as well as ensure highest return and growth of their assets. We strive for best compensation to all the employees who constitute the back-bone of the management and operational strength of the Company through a pay-package composing salary/wages, allowances, bonus, profit participation, leave salary and superannuation & retirement benefits. We strive for best co-operation of the creditors & debtors the banks & financial institutions who provide financial support when we need them, the suppliers of raw materials & suppliers who offer them at the best prices, the providers of utilities-power, gas & water etc. and the customers who buy our products & services by redeeming their claim in time by making prompt payment and by distributing proper product on due dates. We strive for fulfillment of our responsibility to the Government through payment of entire range of due taxes, duties, and claim to various public agencies. We strive, as responsibilities citizen, for a social order devoid of malpractices, anti-environmental behaviors, unethical and corruptive dealings. We strive for practicing good governance in every sphere of activities covering inter alia not being limited to, disclosure & reporting to shareholders holding AGM in time, distribution of dividends and other benefits to shareholders, reporting/dissemination of price sensitive information, acquisition of share by insiders, recruitment & promotion of staff, procurement & supplies, sale of assets etc. all that directly and indirectly affect the interest of concerned groups – the shareholders, the creditors, suppliers, employees, government and the public in general. We see business as a means to the wellbeing of the investors, employees and the society at large, leading to accretion of wealth through financial and moral gains as a part of the process of the human civilization. Our mission is to provide quality & innovative healthcare relief for people, maintain stringently ethical standard in business operation also ensuring benefit to the shareholders and other stakeholders. ++ Is being divested or exited form. Will be assigned a low level of Importance. Our objectives are to conduct transparent business operations within the legal & social frame work with aims to attain the mission reflected by our vision. Our vision, our mission and our objectives are to emphasise on the quality of product, process and services leading to growth of the company imbibed with good governance practices. Strategic management is one of the important of study. For starting a new business or to survive in the market or to make improvement in the business selection of strategy is very important critical also. In the competitive age without strategy organization can not survive and run the organization successfully that is why strategy is important for all type of organization. The objective of this study is to understand, how the organization follow strategic management. The process of formulating, implementing and evaluating strategy. That means the over all practice of strategic management. Which will help us bust our knowledge on the practical practice of strategic management. In the assignment we tried to give a clear view of strategic management process. To implement this topic we have first selected a company and analyzed details about the company’s profile, mission, objective, function and then gave details of that industry. After that we took a short interview of management of that company to know details about strategic management practice of that company. To complete the assignment we have dependent different sources for collecting data from primary source to secondary source. Drug policy of Bangladesh. Ministry of Health population council, Health Division, Dhaka. 1982. Zafrullah Chowdhury, Bangladesh: A Tough Battle for a National Drug Policy. Development Dialogue. 1995:1 pp. 97-146. Directorate of Drug Administration, Ministry of Health and Family Planning, Government of the People’s Republic of Bangladesh. WHO, Essential Drug Monitor, November, 1993. Some Competitors of Squarepharma ltd. The country has at present 194 operating pharmaceutical units of different sizes. In addition, by 1997 there were 244 Unani, 161 Ayurvedic, 74 Homeopathic and Biochemic system medicine manufacturers in the country. The industry employs 50,000 skilled and 15,000 unskilled people. Once a product is brought to market, pharmaceutical companies spend heavily on marketing and promotion. The larger drug companies maintain a large sales force, which makes direct regular contact with individual prescribing physicians and other pharmaceutical decision makers. The sums spent on marketing are large. Pharmaceutical marketing efforts are not only directed at physicians and consumers; drug companies have also sought to directly influence pharmacists, in some cases paying pharmacists to induce customers to change their drug consumption habits. The nature of competition in this industry differs between the two sets of firms. The second tier of firms holds fewer patents and relies primarily on manufacturing off-patent generic medicines or patent medicines under license. Competition between these firms takes the conventional form of competition on price, cost-efficiency and quality. In contrast, a few large research-based pharmaceutical companies invest heavily in R&D and hold the bulk of the patents, and can often enjoy substantial market power while these patents are in force. For these companies, competition is not primarily on the basis of price, but rather on the basis of marketing and innovation. These companies compete to develop entirely new drugs which either treat new medical conditions, improve upon existing drugs, or serve as substitute for existing patented drugs. Some large pharmaceutical companies in this tier export and compete in international markets. Prior to independence, the pharmaceutical sector was dominated by multi-national companies (MNCs) which resulted in high prices and scarcity of those drugs that were less commercially lucrative. Lack of technological know-how, skilled human resources and huge capital investments cost served as barriers to entry for local producers. The Drug Control Ordinance (1982) was enacted to address the situation through the introduction of controls of the manufacture, import, distribution, and sales of drugs. The Ordinance introduced cost-based pricing to guarantee a minimum profit to producers to attract more local firms. As a result of the regulations, the market saw a massive redistribution. In 1982 the top ten companies included seven MNCs and three local companies. Of these the top five were all MNCs, the major ones being Fisons, Pfizer, Rhone Poulenc Rorer (RPR), Glaxo, SK&F, and ICI. These companies controlled more than 50% of the market share, and a major share of their earnings was drained out of the country through equity share, compensation and benefits provided to expatriates, and raw material purchases from their parent company. By 1994, three of the major players Pfizer, SK&F and ICI sold out their operations to local entrepreneurs. Table 6 shows the market share of Top Ten companies in the pharmaceutical sector over a five-year period. The top five companies control around 50% of market share. Strategic Management Process in The Organization Company’s strategy is an important and secret subject. All the time the company doesn’t want to disclose the information. So it is very difficult to know about the strategy of the company. But when we talked to the management of the company they said us usually there is not any fixed strategy, the market condition and the competition rapidly change so the strategies are also changes, though there does not happen any massive change in the corporate level strategy. Management also said that at the corporate strategy there had used formal strategic management process. Such as defining the organization’s guiding philosophy, purpose, mission; establishing long range objectives to achieve the mission; selecting the strategy to achieve the long range objectives; development of organizational structure, selecting leadership and providing motivational system; establishing short range objectives, developing budgets and developing functional strategy and establishing standards to evaluating the performance, monitoring progress in the execution; initiating corrective actions etc. When we wanted to know about the strategy process model, the management said any strategy is not formulated based on model but when any strategy is goon to formulate the model is automatically followed. Management also said when they go to formulate any strategy for business unit and function unit, first they identify the reason which indicates the guiding philosophy, purpose and the mission. Then they analysis all the factors relevance to the strategy which may be inside of the organization and outside of the organization. After that they find out the best way to do the job and then they set factors to implement or to get done the job. This over all process actually indicates the model. One thing more, In case of formulating business unit and functional unit strategy the company give priorities on competitors. The management also said us the pharmaceutical companies spend heavily on marketing and promotion. The larger drug companies maintain a large sales force, which makes direct regular contact with individual prescribing physicians and other pharmaceutical decision makers. The sums spent on marketing are large. Pharmaceutical marketing efforts are not only directed at physicians and consumers; drug companies have also sought to directly influence pharmacists, in some cases paying pharmacists to induce customers to change their drug consumption habits. So the strategy process for marketing an dother functional units are different from other industries and they have to change and develop the strategy for functional units frequently to survive in the competition. Different marketing evaluations, government rules and regulations are important for the company to understand the present market condition and potential market condition. Because to formulate strategy it is must to know all the information about inside and out side of the company. Company keeps information about over all evaluation in the market to get help in strategy formulation. A short market and competition scenery has given bellow. Multinational companies enjoyed two different benefits purchasing raw materials from their parent company at high price. Firstly, purchasing by foreign currency, they were able to dispatch million and million foreign currency from Bangladesh, which has a destroying effect on our economy. Secondly, they produced documents showing high raw materials’ price and low income. By this way, Bangladesh government deprived from huge amount of taxes. For instances, in 1979, Pfizer purchased tetracycline from Hong Kong Pfizer Laboratories at a price of US$ 80.36 per Kg. Where as Pharmadesh (a local Pharmaceutical company) purchased the same tetracycline from Yugoslavia at a price eof only US$ 42 per Kg. The standard of raw materials of Yugoslavia was certified by Food and Drug Administration (FDA) of USA and it could be used in America. In 1983 after the NDP, Gonoshasthaya Pharmaceuticals Ltd. (GPL) purchased tetracycline from international competitive market of West Germany at a price of only US$ 22.5 per Kg. In 2001, it dropped to only US$ 8.5. It was found a 86.72 % price fall from 1981 to 2001. In 1981 price of per Kg Glibenclamide was US$ 2350. And over the last twenty years it decreased dramatically and stands at only US$ 72 in 2001 (Table 5). Strict control over the price of raw material stops the transfer pricing as a result Bangladesh saves several crores of taka. Table: Price of some important drugs and changes (1981 – 2005). according to international currency like Dollar, the price of antacid tablet decreased 23 %. In 1981, the price of 100-mg Atenolol tablet, a drug used in hypertension, was Tk. 6. It fell 45 % in 1991 and 87.3 % in 2001 Parallel to this we can compare the statistics of drug price change in Britain during the same period. In Britain in 1980, price of a box containing 100 capsules of 250 mg Amoxycillin each was £ 12.87 and it rose by 40.10 % to stand at £ 18.48. Similarly, price of 100 tablets of 500 mg Chloroquine each was £ 3.75 in 1980 and it rose 366.7 % to stand at £ 17.50 in 1991. By comparing the statistics of Bangladesh and Britain, it is clear that the drug price fell considerably and remains consistent over the last twenty years. The epoch-making NDP played a key role behind this. Drug administration fixes up the maximum retail price (MRP) of drugs used in primary health care. The MRP of other drugs were approved by Drug Administration. From 1981 to 1991, retail price of drug increased only 20 % in local currency, which was a very little compared to international inflation. During these ten years, price of rice and fish increased 122 % and 197 %, respectively. Furthermore, price index rose 173 %, while price of drug increased only 20 %, which indicates the success of price control and the NDP of 1982 as well. Now a day, total number of pharmaceutical industry in Bangladesh is 212. According to Bangladesh Health Bulletin, 1997, MOHFW, GOB, out of 212, 155 pharmaceutical companies are manufacturing drugs while other 48 are suspended, and production license of the remaining 9 companies have been cancelled. The role of the NDP would be crystal-clear if we see the annual sales of drugs of some leading pharmaceutical industries in Bangladesh. Table: Annual sale of drug of some leading pharmaceutical companies in Bangladesh (Tk. in mill.). Data source: Directorate of Drug Administration and IMS. In 1981, total annual sale of Square Pharmaceuticals Ltd. was only 70 million taka and it has increased to 850 million taka in 1991 and to 2,454 million taka in 2000. The drug productions/sales an upward trend between 1981 and 2000 for almost all companies except some multinational companies who stooped their operation (Table 7). Beximco Pharmaceuticals Ltd. sold drugs worth 50 and 502 million taka in 1981 and 1991, respectively. Now, sale increases tremendously and sale volume reaches to 1,896 million taka. Sale volume of Glaxo (Bangladesh) Ltd. increased from 110 million to 1,037 taka over last 20 years. It is really interesting that after the implementation of NDP multinational companies like Glaxo (presently Glaxo-Wellcome), Giba Geigy (presently Novartis) etc. increased their investment and doing their business successfully with increased growth of drug production and sale. This example implies that multinational companies no longer do loss in their business as well as the NDP does not interrupt production and sale. shows the sale of drug by major therapeutic groups annually in Bangladesh from 1998 to 2006. Table : Annual sale of drugs by therapeutic groups in Bangladesh (1998-2000). Data source: Pharmaceutical Industries and IMS. The highest amount of drugs sold is the life saving systemic antibiotics. The sale of systemic antibiotics was 4,920 and 4,523 million taka in 1998 and 1999, respectively. Last year it was 5,649 million that is 31.5 % of total drug sale. Antiulcerant and antacid sale rose approximately 2 % over the last 3 years. The highest growth was found to be 38 % in cardiovascular drugs sale that was followed by 35 % in antiulcerant and antacids. According to the believer of open market economy, multinational companies are forced to stop their operation by the implementation of the NDP. Is it true at all? Let us see the case of Squib. Due to the depressed international market of Squib, it merged with Bristol-Mayer and appeared as Bristol-Mayer-Squib. The management of this company started to suspend production in different countries through out the world, which were loosing concern. Before leaving Bangladesh, the sale of Squib was only 0.06 % of total world market of Bristol-Mayer-Squib. That is why management did not find any profit to run Squib in Bangladesh. For the same reason, ICI Ltd. and Pfizer stopped their operation in Bangladesh and local authority started to run operation of these two companies as ACI Ltd. and Renata Ltd. As we find annual sale and growth of these local companies in last three years, we can confirm that they are doing well in drug market. So the NDP is not the principal cause of leaving of multinational companies. Pharmaceutical companies showed positive reaction on price control of raw materials but they showed a negative reaction on retail price control. According to them, quality of drugs may fall by the control of retail price. Any fluctuation of quality of life saving drugs is not acceptable. All drugs must be produced according to Pharmacopoeia or Pharmaceutical Codex. The quality of locally produced drugs has improved significantly since the introduction of the NDP because of greater vigilance and because of testing procedures are easier now as most drugs contain only one active ingredient. In 1981, 327 drug samples were tested in Drug Testing Laboratory, formed by the recommendation of the NDP, of which 36 % were found to be substandard, while in 1991 it was 9.4 %. In 1999, the substandard drugs were found the lowest that was only 1.7 % (Table 9). The downward trend of the percentage of substandard drugs infers the significant improvement of drug quality produced in the country. Table : Drug sample tested in Drug Testing Laboratory, IPH (1990-2005). Data source: Directorate of Drug Administration and Drug Testing Lab., IPH. These data company use to measure their competitive position in the market and then they analysis all internal and external factors which have impact in competition and formulate their different level strategy. The over all attempts in the assignment were to find out and to give a clear idea about the practical practice of strategic management in a company. In the assignment we tried out best to do so. For doing this job we have given details of the company and speech of the management about the strategic management. And presented a competitive scenery of the company. By analysis the data we find that strategic management is not usually practiced formally in the organization but it is true elements or steps of strategic management are followed automatically and unconsciously in the company. We also find that only in the corporate level the strategic management process remain fixed. It is not usually changed but in the business and functional level strategy changed frequently. And it is so complex and important job for the company to survive in the competition. Specially for the pharmaceutical company, marketing and promotional strategies are so important and company has to conduct research and development process to formulate strategy.